Borussia Dortmund attacking midfielder Marco Reus could return to action against Hamburg at the weekend, following eight months out with injury. 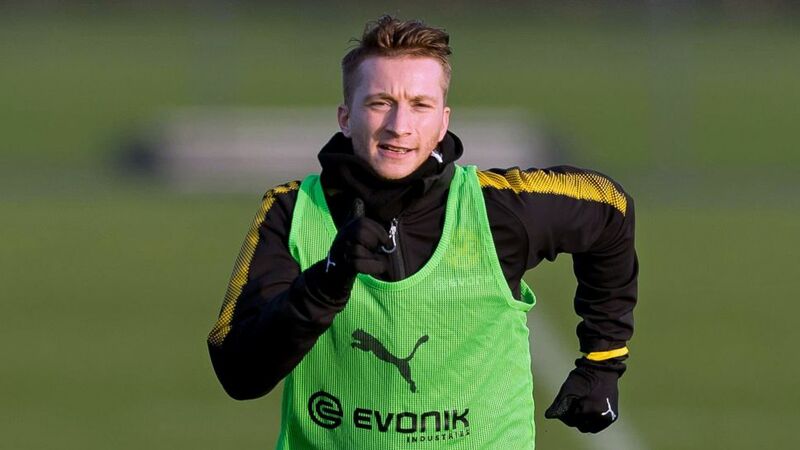 Reus - sidelined since undergoing surgery on a knee ligament tear sustained in Dortmund's DFB Cup final win over Eintracht Frankfurt on 27 May 2017 - has been stepping up his recovery in recent months and now has a week of full first-team training behind him. "It's going well for him," Dortmund head coach Peter Stöger said. "He wants to get involved and help us, but we'll have to see. We'll chat to the medical team and talk to him about it. He knows his body better than anyone." *Translation: BVB coach Peter Stöger happy with competition for places and Marco Reus' "positive trend". Reus will be determined to make Germany's FIFA 2018 World Cup squad after missing out in Brazil four years ago with an ankle problem. The 28-year-old scored seven goals in 17 Bundesliga outings last season, despite missing 16 games through injury.